The boys meant to explore the cave for just an hour, a casual jaunt to relax after soccer practice, but the waters rose. The teammates climbed higher, using their hands to feel the walls for a crawl space that would lead to safer, higher ground. Those handprints were among the first signs of where the boys were, what they had done to escape the floods, and what dangers rescuers would face in their mission to save the boys and their coach. 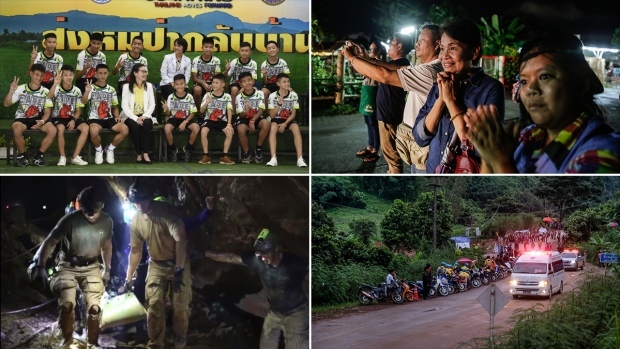 Banphot Konkum, father of 13-year-old Duangpetch Promthep, told The Associated Press his son — better known by his nickname, Dom — said the team members didn't know rain had started falling after they had entered the cave on June 23. But the rain caused flooding in the cave, blocking them from exiting. 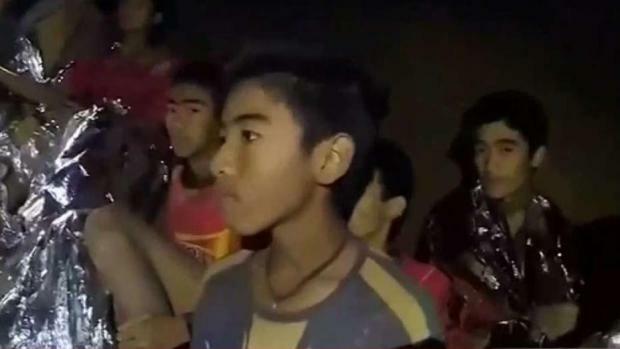 Dom's grandmother, Kameay Promthep, said she would tell Dom never to go near the cave or water again because she doesn't want anything to happen to him or for him to cause trouble to others again.